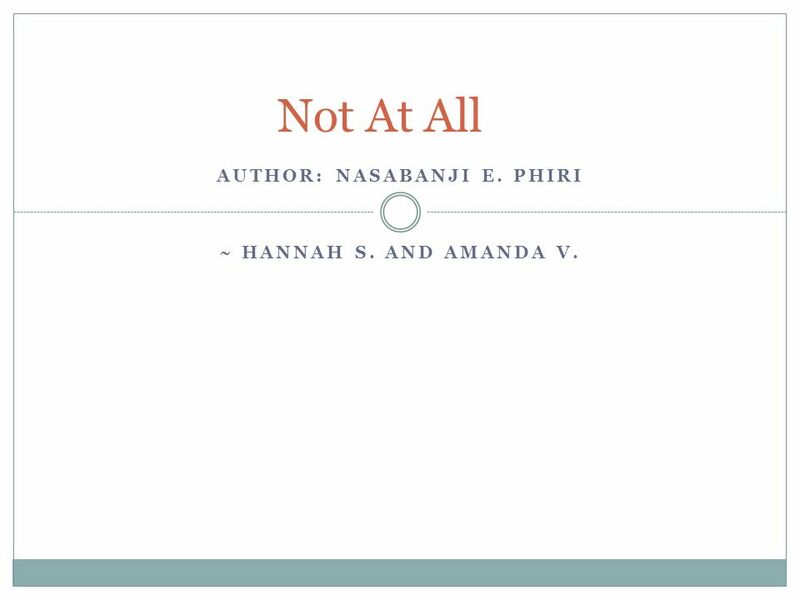 AUTHOR: NASABANJI E. PHIRI ~ HANNAH S. AND AMANDA V. Not At All. 2 T-Title The title of our poem is Not At All! 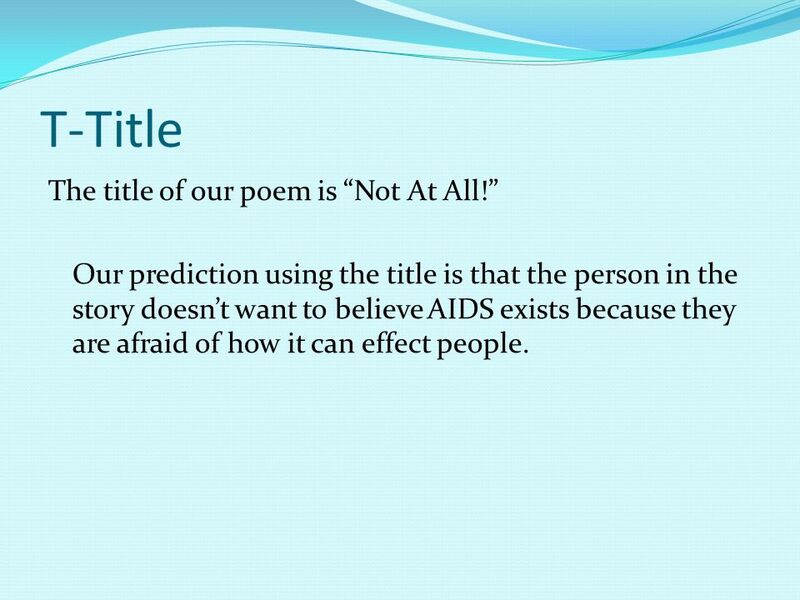 Our prediction using the title is that the person in the story doesnt want to believe AIDS exists because they are afraid of how it can effect people. 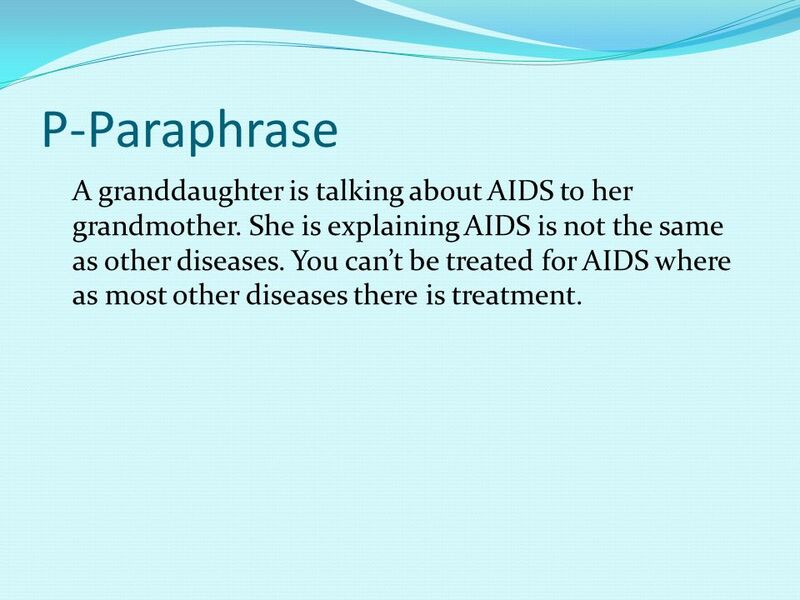 3 P-Paraphrase A granddaughter is talking about AIDS to her grandmother. She is explaining AIDS is not the same as other diseases. You cant be treated for AIDS where as most other diseases there is treatment. 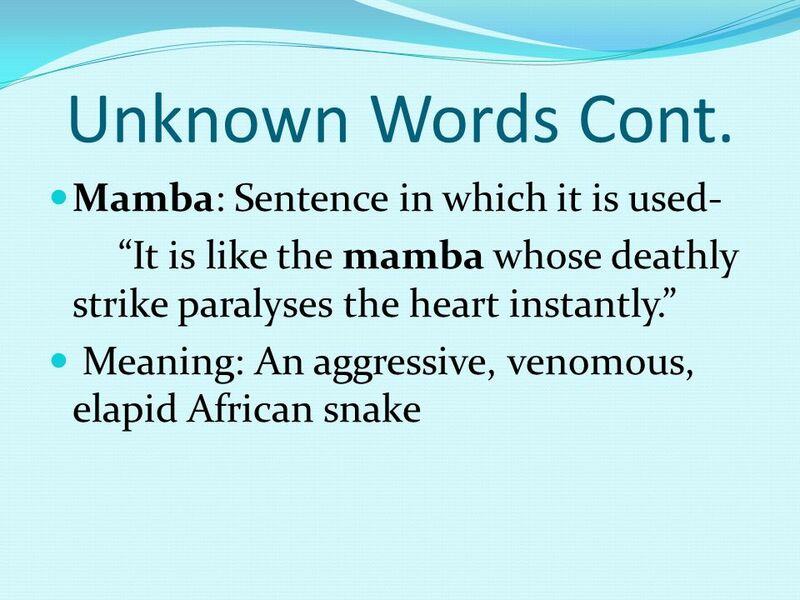 6 C- Connotation Similes- It is like the mamba, - Once it you get AIDS you cant get rid of it. It is like a thorn that pricks continuously,- You dont get used to having AIDS. This one is like a fire,- AIDS never weaken in your body. 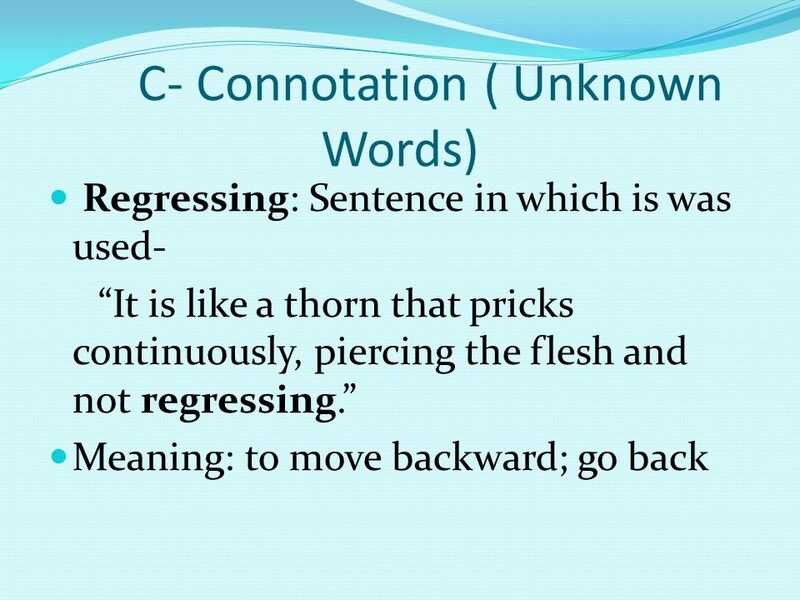 7 Connotations Repetition- Not at all. AIDS is not like any other diseases. 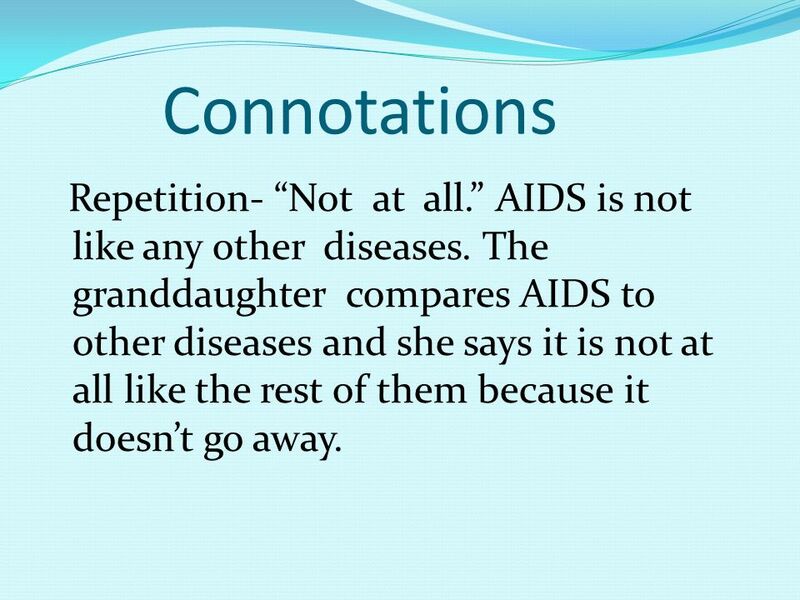 The granddaughter compares AIDS to other diseases and she says it is not at all like the rest of them because it doesnt go away. 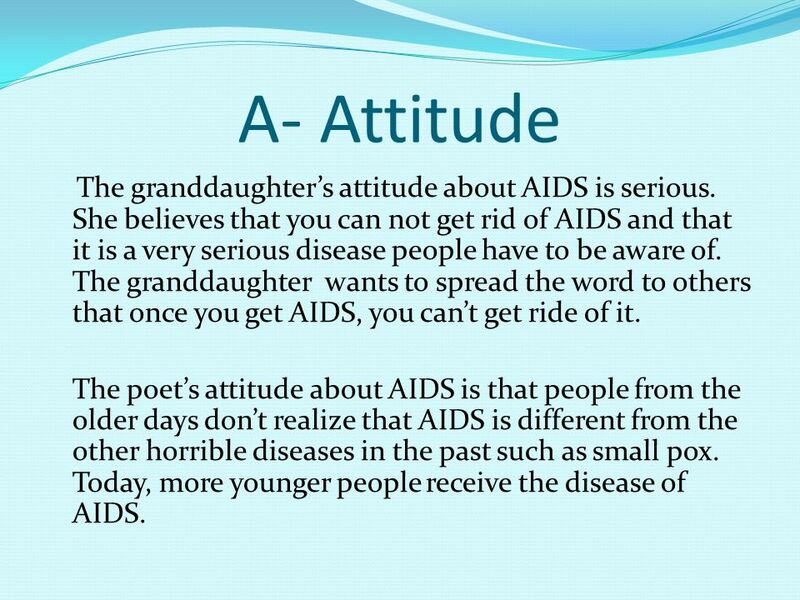 8 A- Attitude The granddaughters attitude about AIDS is serious. She believes that you can not get rid of AIDS and that it is a very serious disease people have to be aware of. The granddaughter wants to spread the word to others that once you get AIDS, you cant get ride of it. The poets attitude about AIDS is that people from the older days dont realize that AIDS is different from the other horrible diseases in the past such as small pox. Today, more younger people receive the disease of AIDS. 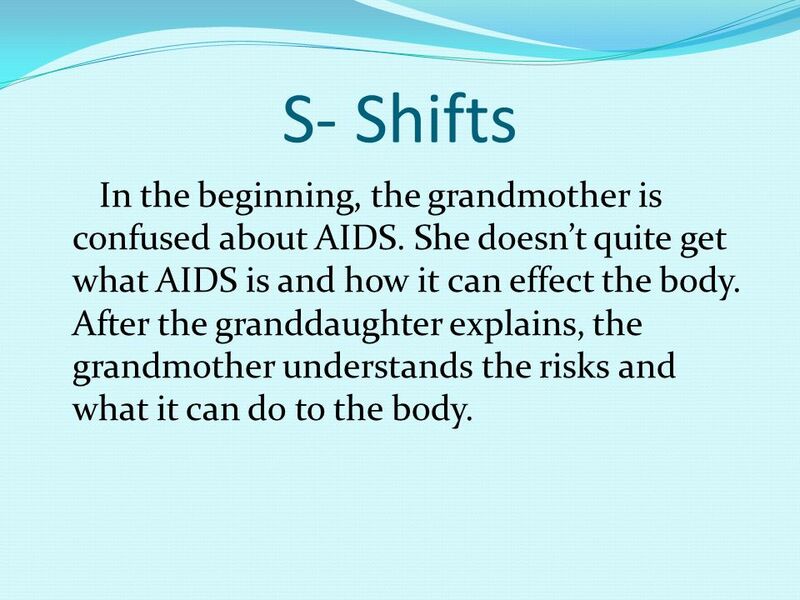 9 S- Shifts In the beginning, the grandmother is confused about AIDS. She doesnt quite get what AIDS is and how it can effect the body. After the granddaughter explains, the grandmother understands the risks and what it can do to the body. 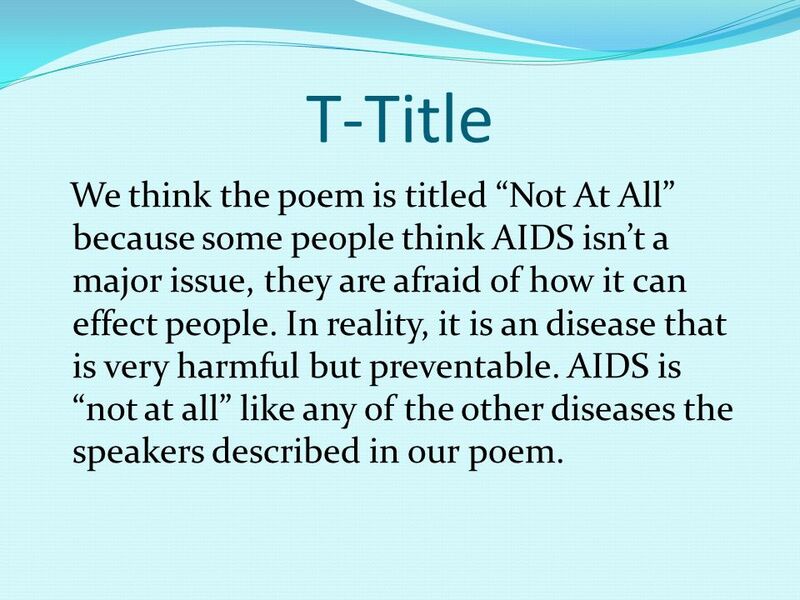 10 T-Title We think the poem is titled Not At All because some people think AIDS isnt a major issue, they are afraid of how it can effect people. In reality, it is an disease that is very harmful but preventable. 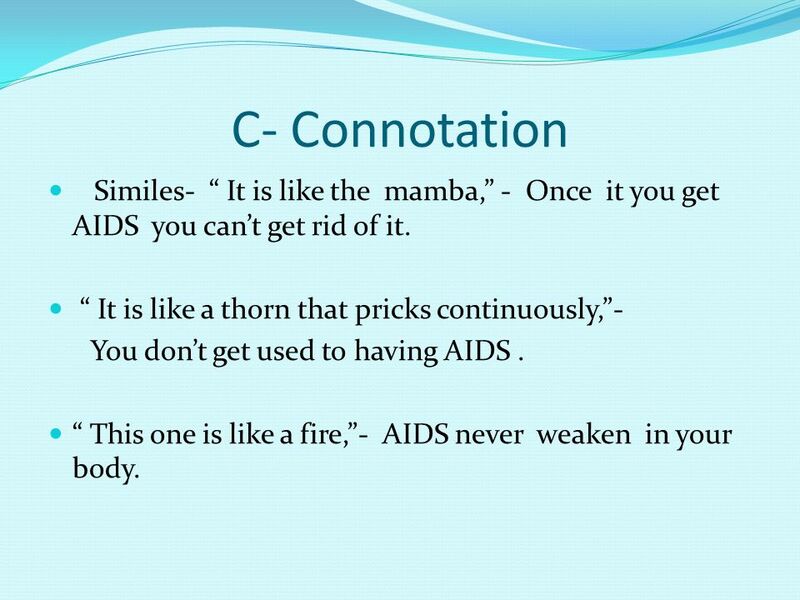 AIDS is not at all like any of the other diseases the speakers described in our poem. 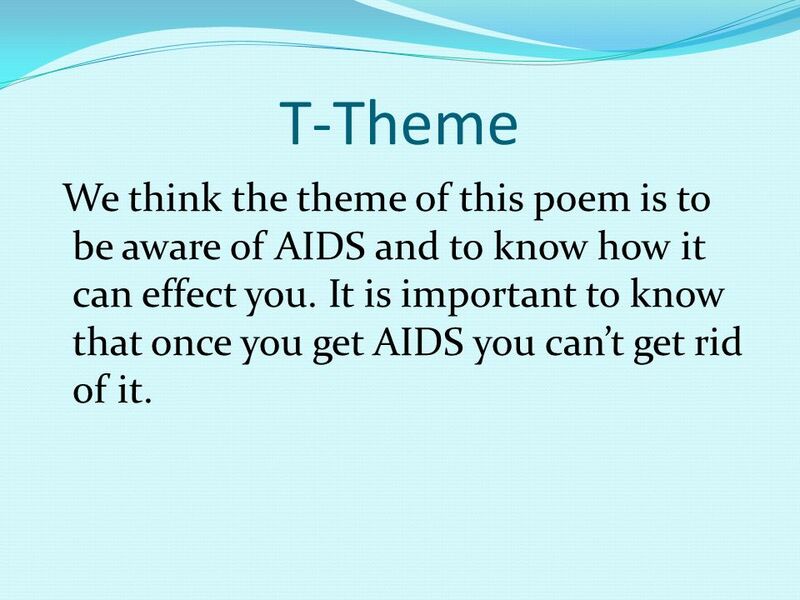 11 T-Theme We think the theme of this poem is to be aware of AIDS and to know how it can effect you. It is important to know that once you get AIDS you cant get rid of it. Download ppt "AUTHOR: NASABANJI E. PHIRI ~ HANNAH S. AND AMANDA V. Not At All." TP-CASTT for ghost child Becka ONeil and McKayla Beard. Comfortable Old Chair by Karla Kuskin RID Revised 9/09. T-Title: Our Diseased World We think the poem is about a disease that people are spreading around the world and it’s killing people. Poem by: Ingrid de Kok The Head of the Household By: Britney saysouly, karly behl, & Hunter blommer. Darkness a Bird of Prey Presentation by Cory Jarred. Annotating a Poem 2XC Poetry Out Loud. The Title Reflect on the poem’s title. Circle the title of the poem and make a quick list of associations with.